The agenda of the day was to trace great revolutionary Sukhdev Thapar’s legacy in the old and congested Chaura Bazaar area in Ludhiana. 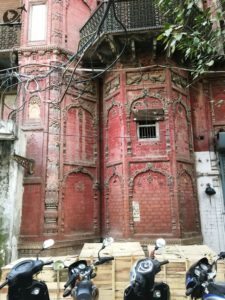 It’s a shame that despite all these years of living in Ludhiana, exploring this legend’s ancestral house in the city still remained a prominent item in my tiny ‘places to see in Ludhiana’ list. So with this task in hand, I ventured out into the old city area, albeit with a little uncertainty about what to expect, since this particular area is home to labyrinthine lanes and alleys that I had never had any acquaintance with. However, once I set to explore the area, I navigated the lanes pretty well, only occasionally pausing to seek directions from the locals. 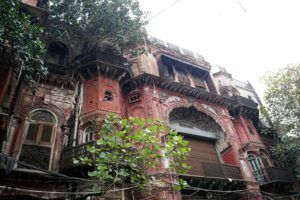 Sukhdev Thapar’s ancestral home is located in one of the quieter corners of Chaura Bazaar and just as I reached its vicinity, I was flagged down by DISTRACTION. Distraction and I are long-term friends and more often than not, it has led me on to make some of my most cherished travel memories. So there, in that corner of the city, distraction presented itself in the shape of a stately mansion, decrepit looking, but striking nonetheless. I always rue the fact that Ludhiana is nothing but a grimy concrete jungle. Who would have thought that I would run into this stunning piece of ‘aged concrete’ right in the middle of one of the most congested parts of the city? Despite its rundown facade, this mansion so dominated its surroundings that I could only imagine how proud it would have stood in the olden days. A faded plaque on the entrance wall identified the building as Anand Bhawan, with the construction year 1907 engraved below. Wow! This imposing building was more than 100 years old! If you are a heritage and architecture fan like me, you will marvel at the skilful detailing the builders of this property have indulged in. Zoom in and you will find clocks fitted on both sides of the fish motif. 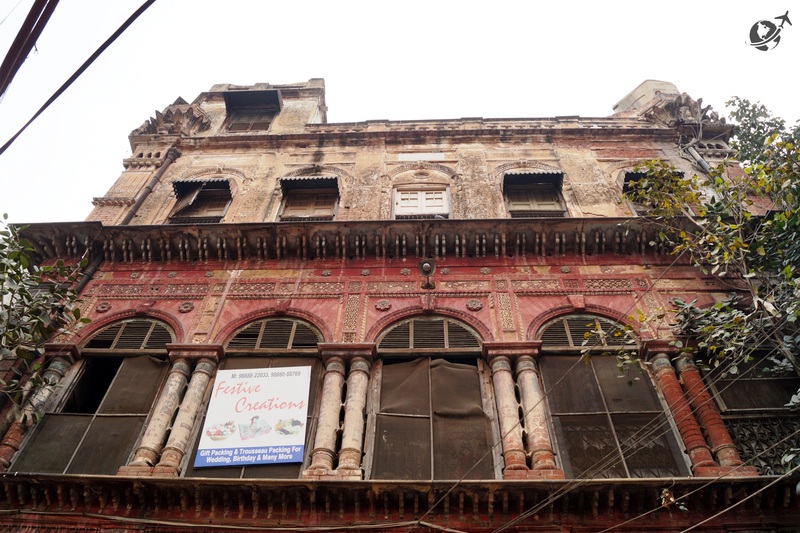 Right above, on the topmost floor, there are remains of lovely glasswork, another testimony to the aesthetic sense of people who commissioned the building. The railings again are a beautiful example of intricate welding work. 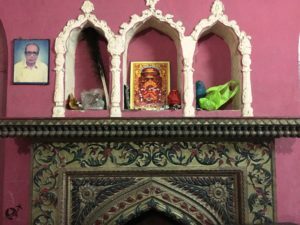 The balconies and jharokhas on either side of the main entrance would have served as great vantage points for the members of the household. 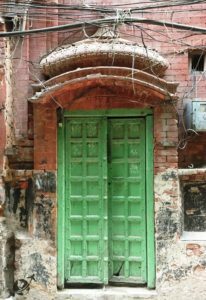 However, the metal shutter right in the front, which obviously has replaced the original door, does mar the beauty of the facade. Stuck by the elegance of the building, I wanted to have a look at it from the inside too. And Paulo Coelho’s ‘universe conspires’ quote might sound a bit dramatic here, but this is precisely what happened as I stood in front of the mansion wondering if anyone lived in the house and whether I would get a chance to peek in. As if on cue, a woman appeared at the second-floor window, and as our eyes met, I gestured to her if I could come in. From her warm expressions, it appeared as if she was only too glad to oblige as she pointed towards an inconspicuous small door on the right side of the building. 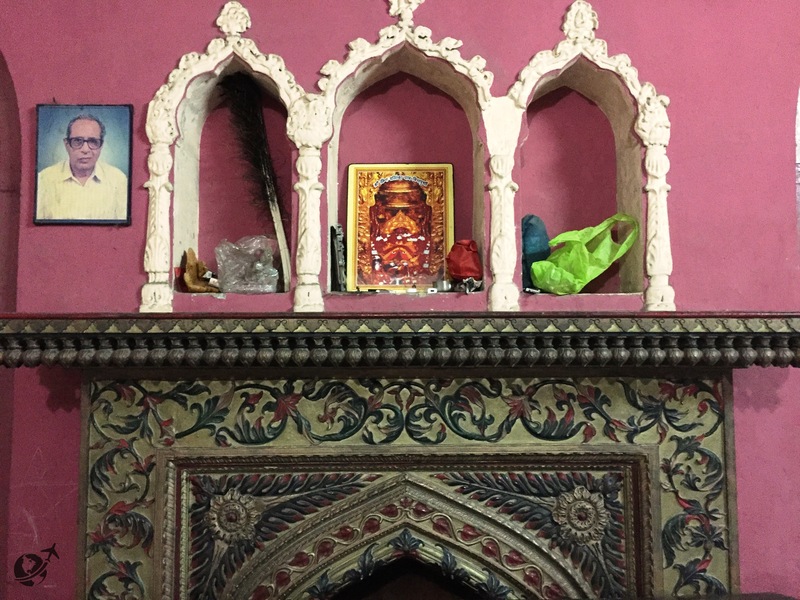 In no time, I was inside the building, admiring the enormous old world fireplace in the living room. 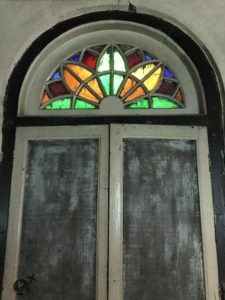 The chance to be inside the mansion was also an opportunity to learn about the history of the place. Mrs. Kairpal, the gracious woman who had waved me in, warmly answered all I wanted to know. 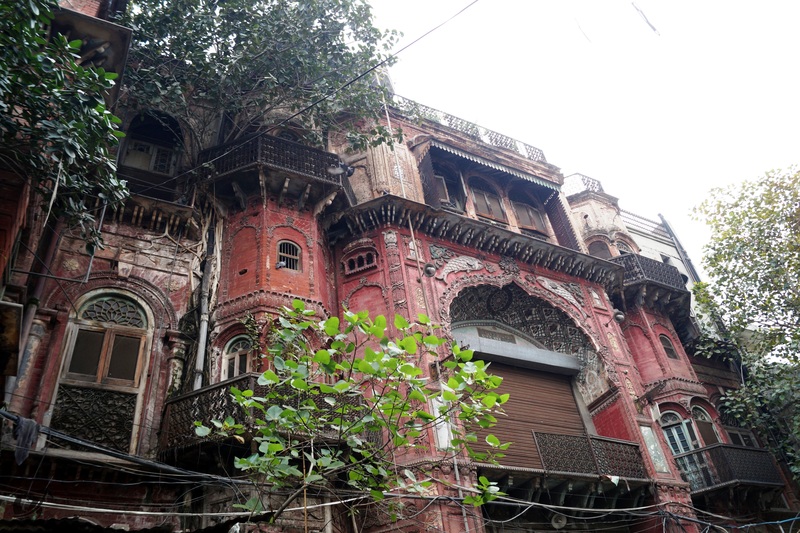 She, it turned out, was the owner of one part of the mansion that was built by a wealthy business family of Ludhiana. After the patriarch of the family passed away, chunks of the large estate were gradually sold to different buyers. Presently, besides a small part being used as a residence, the mansion houses a few hosiery units and a section of it is used as a warehouse. My curiosity satiated, it was time to bid goodbye and move back to the agenda of the day. As I left the building, I could only marvel at the luck of the people who were still a part of this beautiful piece of history. However, given the current state of disrepair, hope they all come together to preserve this piece for posterity. Beautifully worded. I like how you can just go in there and explore. Not everyone can. Distraction and I – my favorite part here. 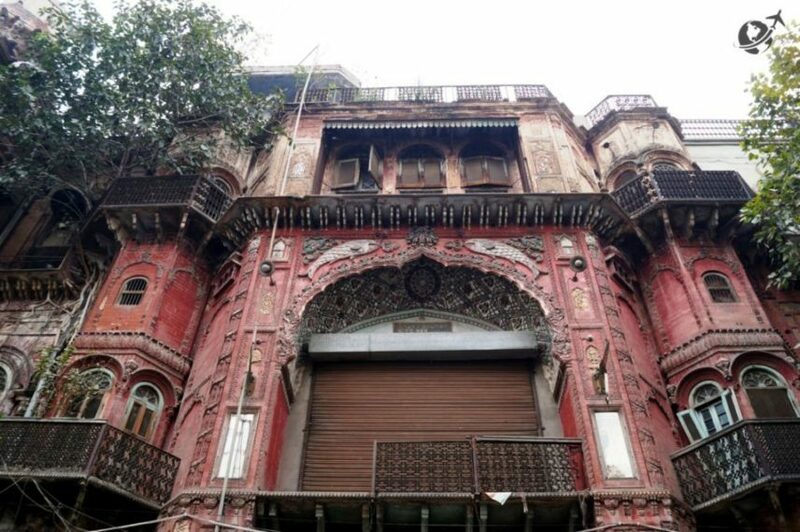 Am really fond of old-world architecture too but it remains a passive hobby. What a great find. I can totally relate to it, since I’m doing the same here in Jaipur. However, there’s so much history and architecture around that it’s going to take loads of time. 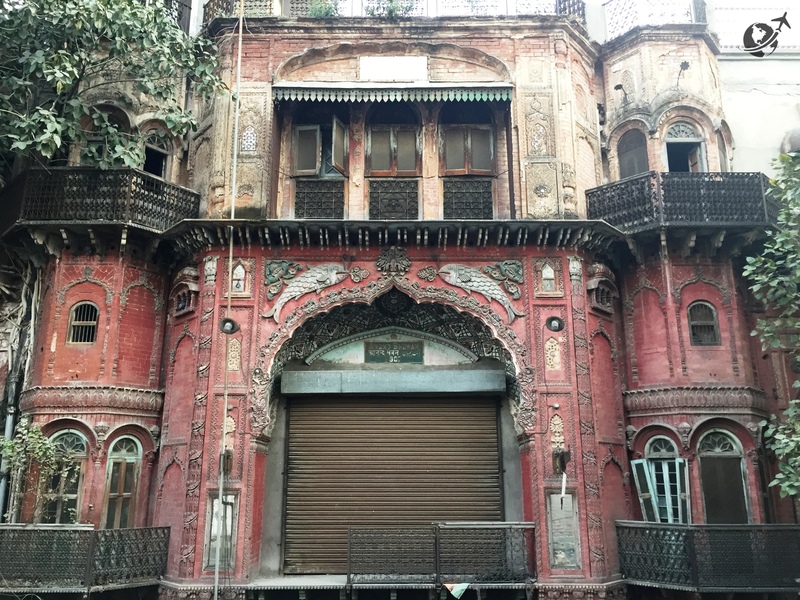 I often watch such buildings and wonder why we can’t take care of our heritage…cultural and built heritage both. 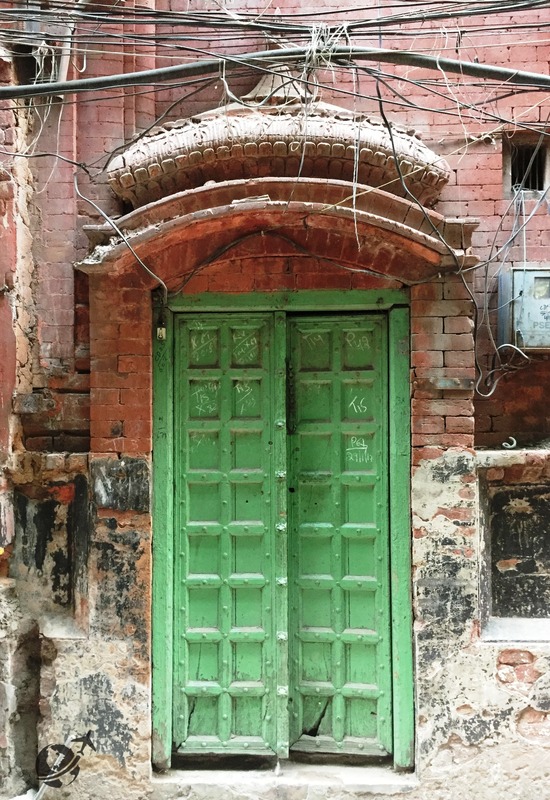 Once, a heritage walk guide told me that for us it’s a heritage but for the people who are living in such buildings, it’s their home. And I thought, he’s right. I wish we had some more sensitivity towards our heritage. Landed on your travel blog today for the first time and this happens to be the first post that I have come across. The way you express yourself is delightful to me. Here in Saharanpur also, there are many old havelis having their exteriors adorned with beautiful mural paintings. 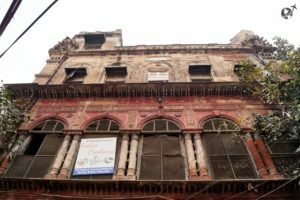 However, the new generation of the owners of these havelis is replacing these murals with ceramic tiles, waterproof Asian paint etc. , having no interest in their heritage. I intend to visit this blog on regular basis, therefore please keep writing and keep posting.